Peles Castle, walking tour in Brasov’s old town, Sibiu Old Town, Hunyad Castle, walking tour of Sighisoara medieval town, Prejmer fortified church, Bran castle, Rasnov fortress. The tour of the main Transylvanian medieval fortresses and cities, which guide you back in the medieval ages with their beauty, traditions and legends. 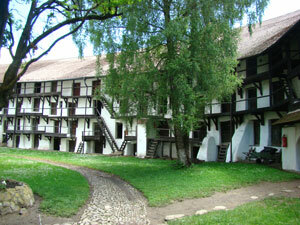 Come to see and find more about the history of Transylvania and it's people. Highlights of the tour: Brasov, Sibiu, Sighisoara, Biertan fortified church, Bran castle, Rasnov fortress, Prejmer fortified church, Hunyad Castle. In the morning meet with our guide iat your hotel in Bucharest or at the airport (for flights arriving up to 11.00). End the day in Brasov with a visit of the medieval center of Brasov, Walking tour in the Old Town of Brasov, having an old history since 1235. The main sites are: Council Square, Black Chuch, White and Black Towers, Weaver’s Bastion and Ecaterina’s Gate, St Nicholas Church, The Rope’s street, a.s.o. Accomodation at Bella Muzica Hotel *** or similar, located in the Old Town. Breakfast. 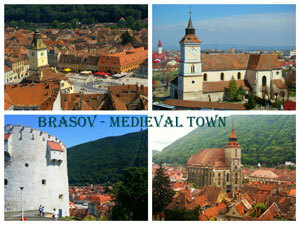 Depart from Brasov to explore the saxon heritages from the Transylvania. First stop and visit at Prejmer Fortress, one of the best preserved of its kind in Eastern Europe The church is modeled after churches of Jerusalem, as well as built in the style of Late Gothic churches. Return to Brasov. On the route can also be admired old saxon villages, the Rupea Citadel, the Saschiz Chuch, the Saschiz Citadel. Accomodation in the same hotel. Today it is a long drive therefore we’ll leave at 8.00 AM. We’ll continue our tour in Transylvania driving to Hunedoara in order to visit the biggest medieval castle from Romania – Hunyad Castle, dating since 14th century. Next we’ll drive to Sibiu – one of the most important medieval cities from Transylvania. Walking tour in the old town. Highlights: Big Square, Little Square, Orthodox and Evanghelic Cathedrals, Liars bridge, aso. After the Bran Castle visit you can spend some time for souvenires shooping and than leave Transylvania and go back to Bucharest. Arriving in the afternoon )aprox 15.00). Drop off at the airport or at a hotel in Bucharest. 3 nights accomodation in 3 stars hotels; daily breakfast, transport with medium size car for 2-3 persons, with minivan for 4-8 people; Private Tour Guide - English language. Other languages on request! Entrance tickets at the monuments (standard tours). Airfaire; Other services not specified on the intinerary; Photo and video fees; Other meals except breakfasts; Banking or e-payment fees. 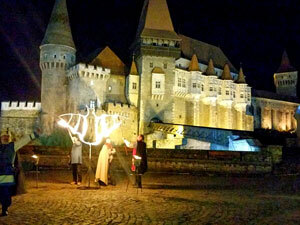 Why to book the Highlights of Transylvania tour? If you are interested to visit Transylvania in a limited period of time we are offering a very good choice: Our Highlights of Transylvania tour, which include visits of the most important cultural attractions from Transylvania, tours of the Transylvanian castles and old towns. This region of Romania is famous for its cultural and history heritage, for its medieval castles, old towns and villages, for the well preserved traditions, customs and way of living, for the great scenery of the Carpathians Mountains or of the Transylvanian rolling hills, and why not, for the legends and myths, most known of them being the legend of Vlad Dracula. 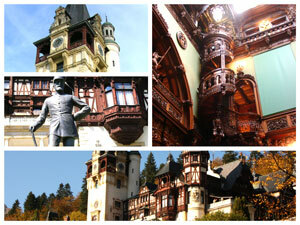 In a 4 days tour to Transylvania we have included the most important, the highlights, of these attractions. 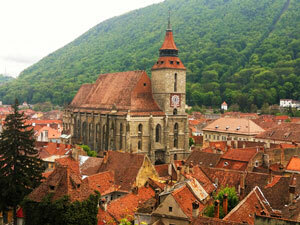 We’ll have walking tours in the best Transylvanian medieval cities as: Brasov, Sighisoara (UNESCO), Sibiu. We’ll visit the famous castles as Bran and Hunyad (Corvin’s) castle, the unique fortified churches as Prejmer and one of the most beautiful castles of Europe – Peles castle, the former royal residence. Join our private guided tour in Transylvania and you’ll find much more informations about local history, cultures and traditions. Our licensed tour guide will be happy to share all his knowledge with you. 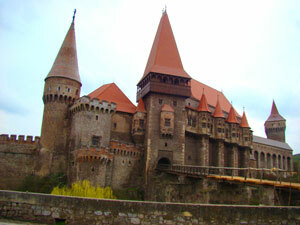 Book the Highlights of Transylvania tour and enjoy your vacation. 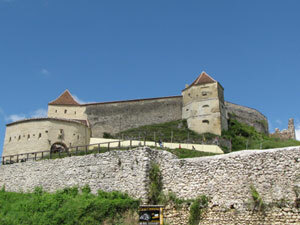 You can check our page with other tours in Transylvania.